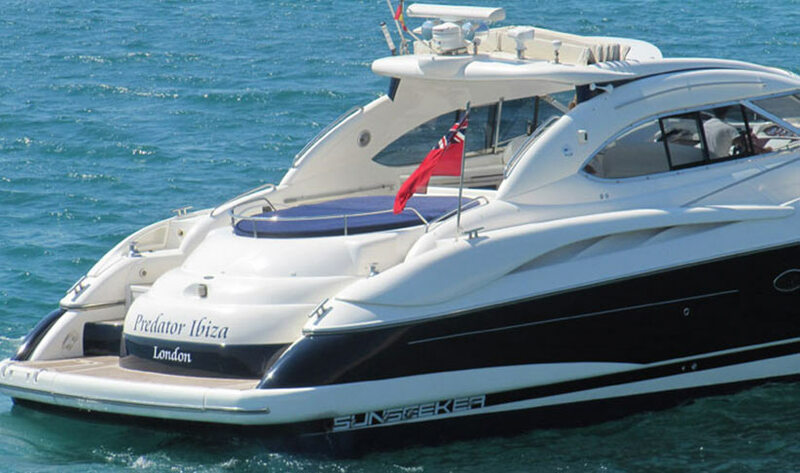 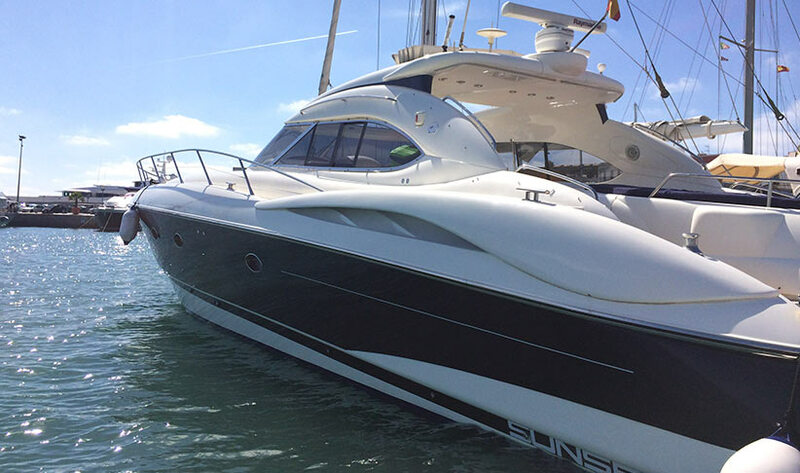 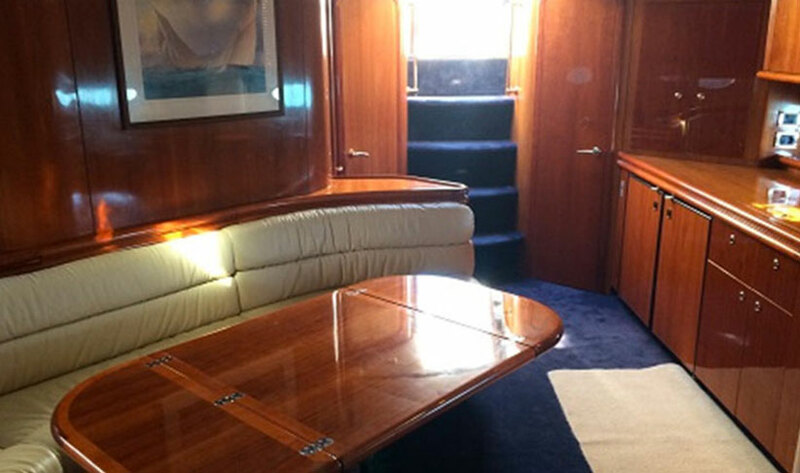 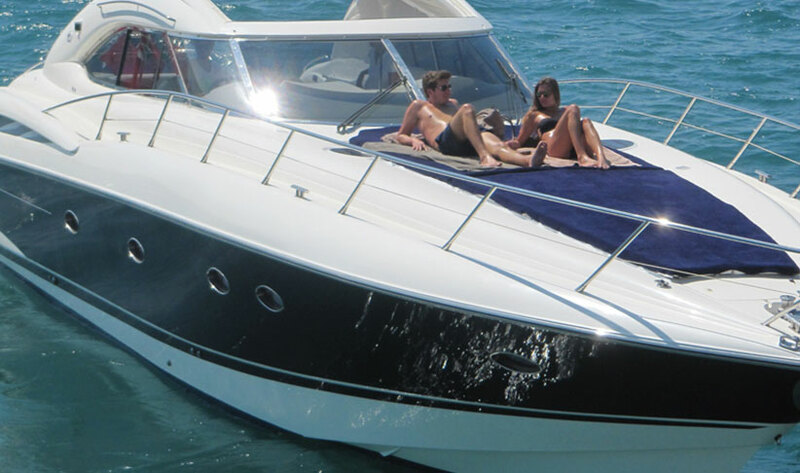 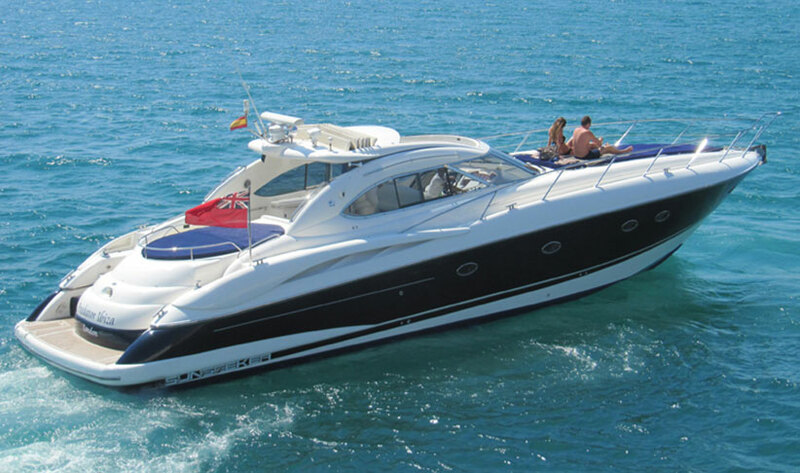 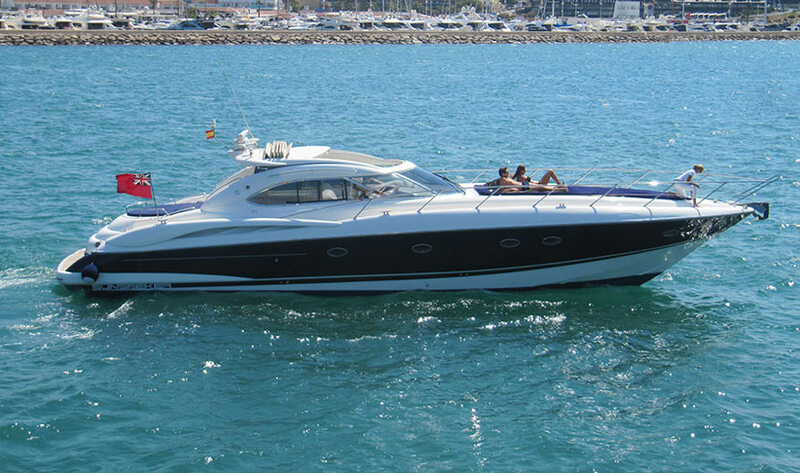 Built in 2000 and completely refitted in 2014, this Sunseeker Predator 60 is in great condition. 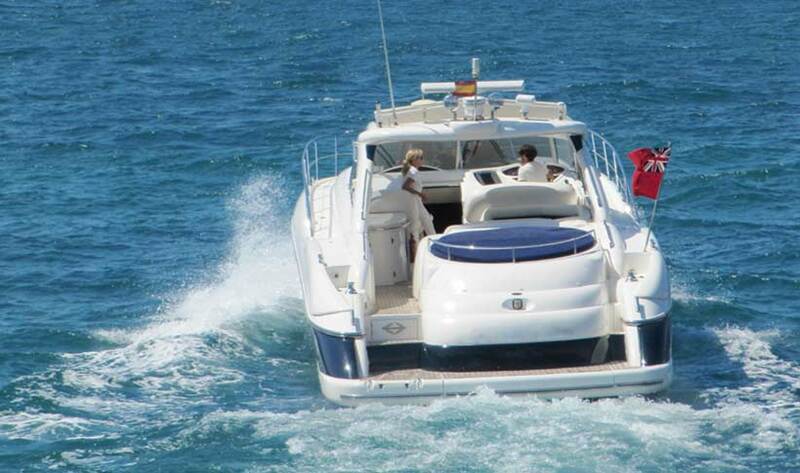 The sun cushioned bow has room for all 12 guests, so this boat is great for larger groups by adding a tandem boat. 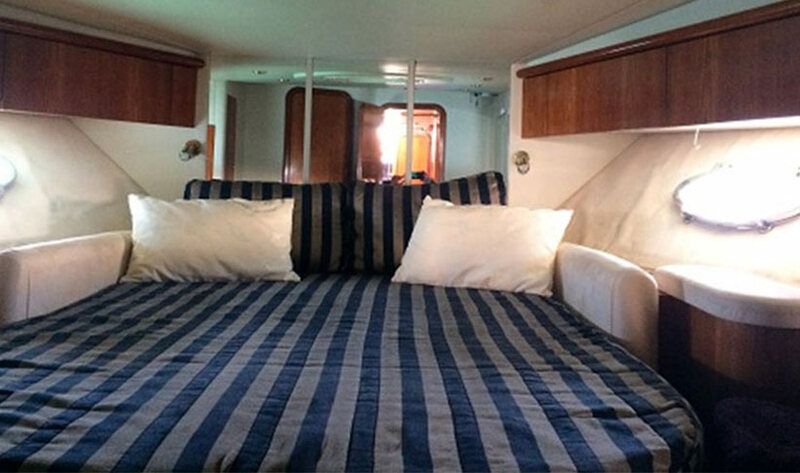 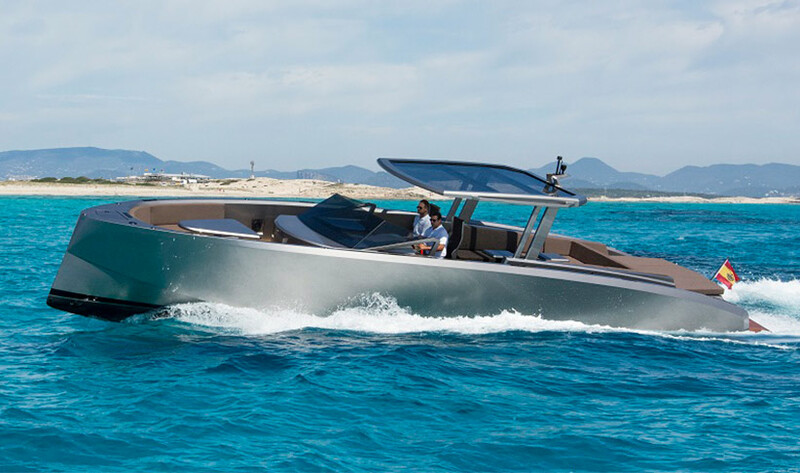 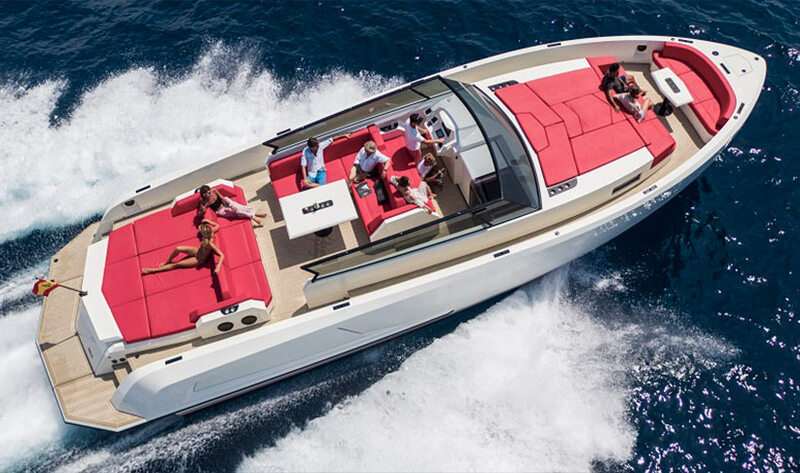 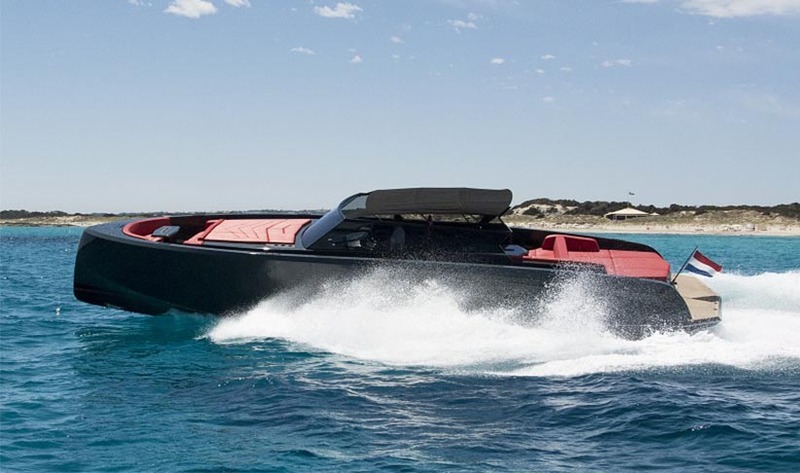 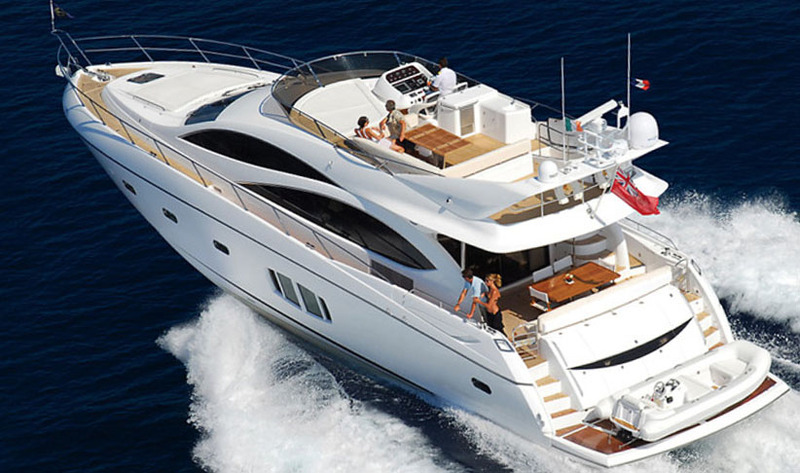 The Predator 60 has 2 guest cabins, sleeping 4 guests. 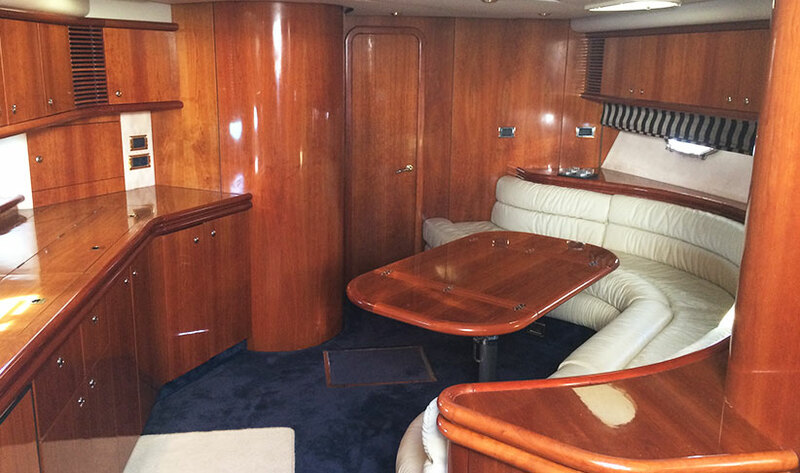 The upper deck has a convertible hardtop sunroof, wet bar with ice-maker as well as 1500w sound system. 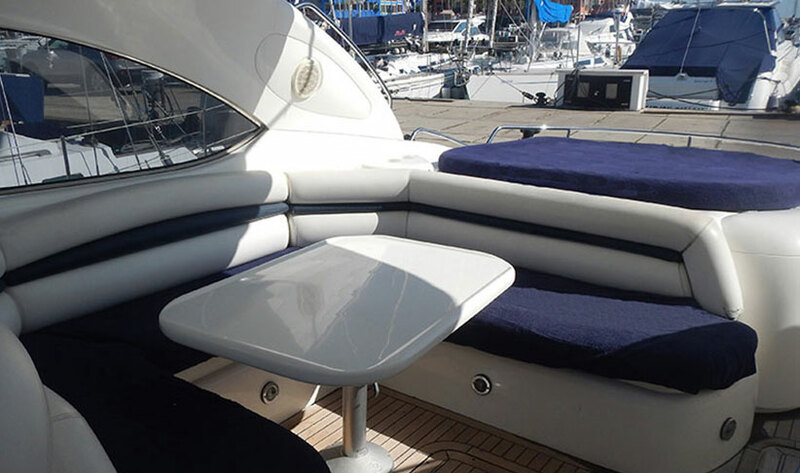 Generous drinks package including wine, beer and soft drinks. 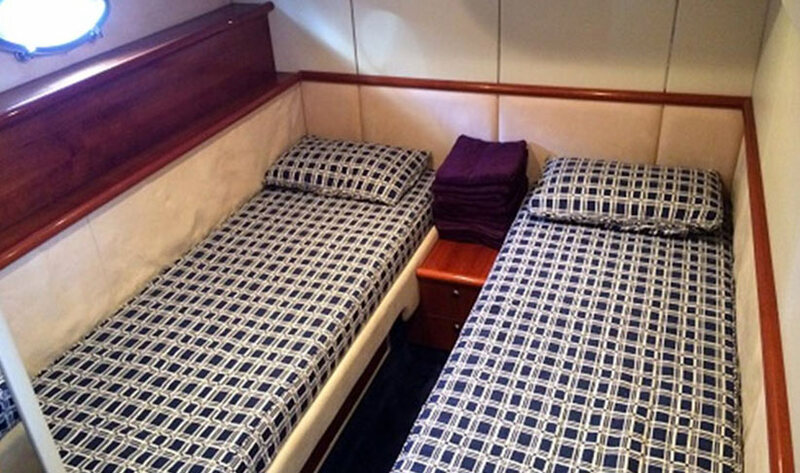 There are 2 options: an 8 hour charter or extended day of up to 11 hours, returning to port by sunset. 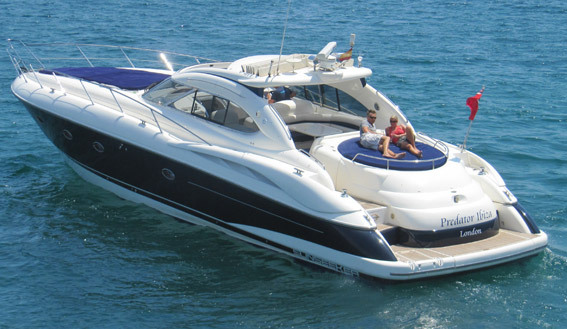 For larger groups, we recommend adding a hostess at €120 and capacity 11 guests. 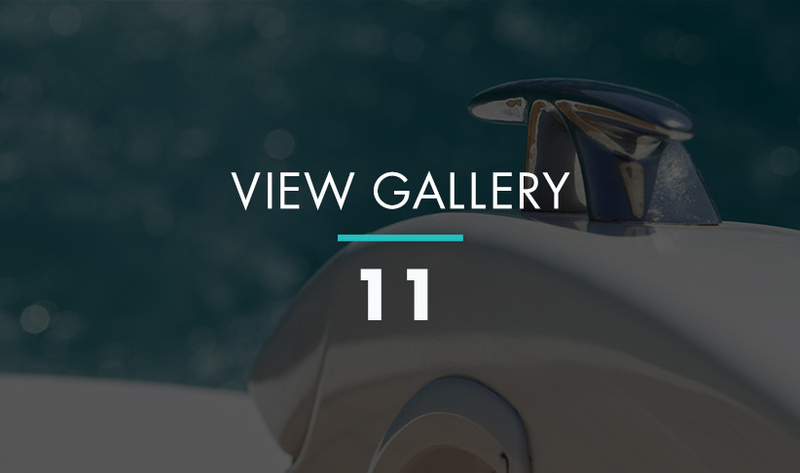 Cushioned areas bow sits 12!